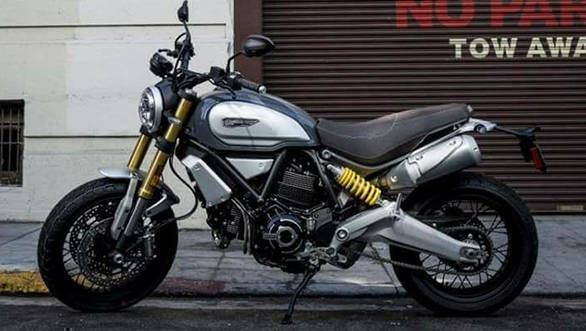 Ducati is set to unveil a larger-engined Ducati Scrambler 1100 at EICMA 2017 next week and we have already received leaked images of this motorcycle. 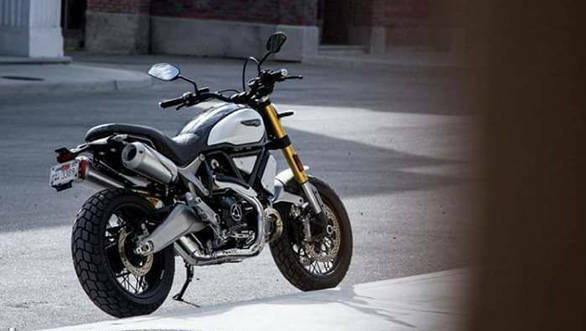 The 2018 Ducati Scrambler 1100 is powered by the oil and air cooled 1,078cc L-twin engine from the old Ducati Monster 1100. 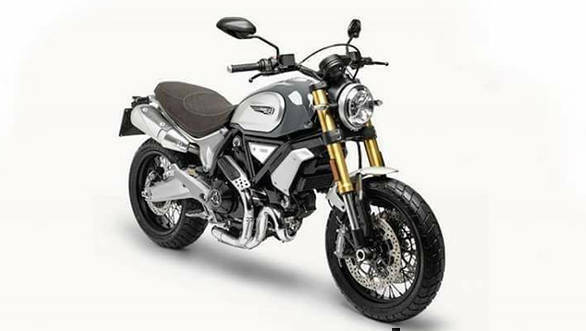 It is pegged to produce 110PS as against the 68PS from the smaller 803cc Ducati Scrambler engine. 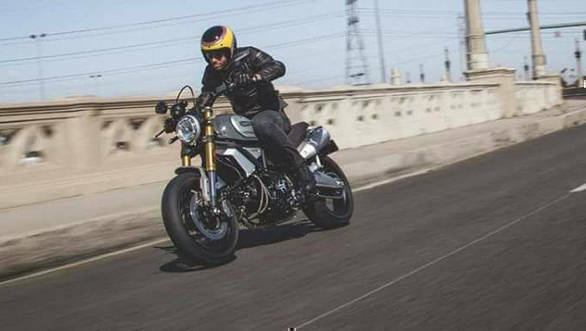 Leaked images of the new Ducati Scrambler 1100 show the new engine also bringing with it the raised twin underseat exhausts similar to the Monster. Ducati had earlier stated that it will unveil five new models at EICMA this year. 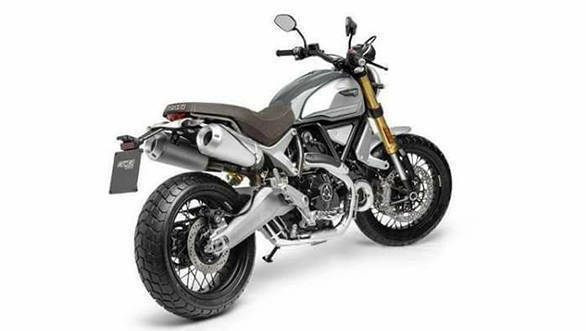 As to when this new Ducati Scrambler 1100 reaches India remains to be seen. With its grey and silver paint job, andb a brown leather seat, the 1100 looks like it has the BMW R9T in its crosshairs. 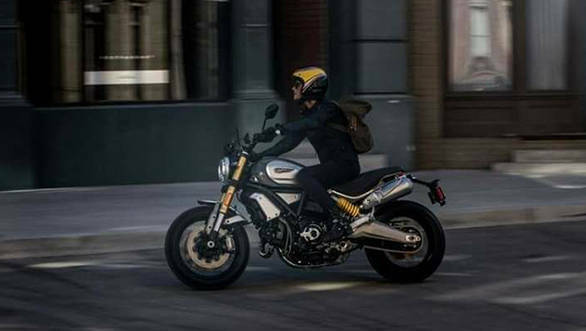 The Ducati Scrambler 1100 also receives some minor tweaks to the original Scrambler's design to distinguish it from its smaller sibling. The design remains largely similar with updated suspension up front and the forks now sports a gold finish. 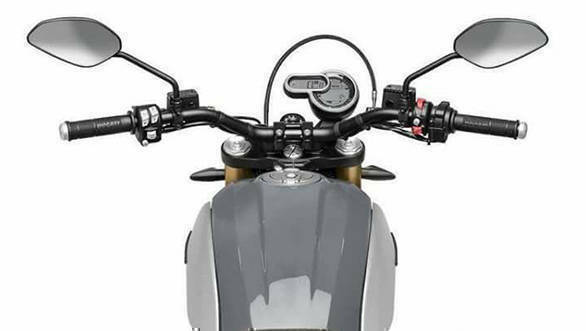 There is also a small additional screen atop the tiny single digital dial on the Ducati Scrambler 1100. It also sports black wire spoke wheels suggesting it may be a more off-road ready motorcycle. Like the smaller sibling, the Scrambler 1100 might also be available in different kits for urban, off road, and others. Other details and specifications will come be revealed at the upcoming Ducati Showcase, so stay tuned!